The eCom-C expands upon the eCom's basic features, while also adding new ones. 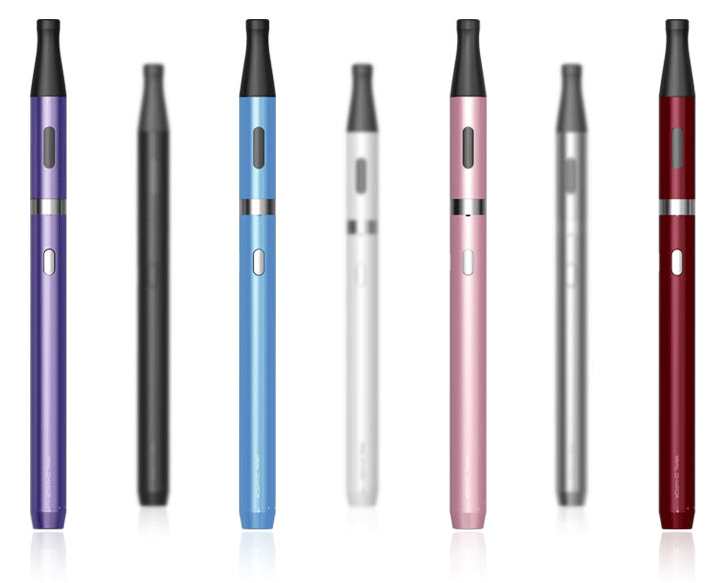 The eCom-C e cigarette comes in seven different colors and uses a changeable C2 atomizer head, which delivers only the finest vaping experience. black, pink, red, purple, blue, silver, and white. 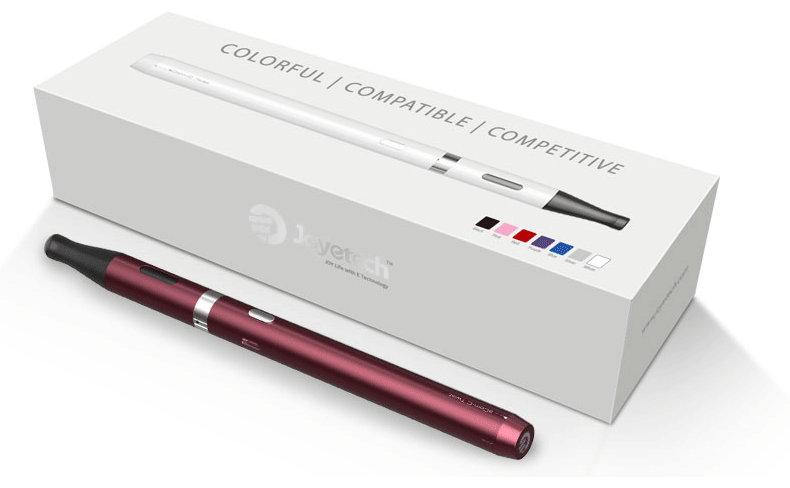 For further compatibility, the eCom-C comes with 510 threading. The blend of elegance and ergonomic design makes the competition obsolete. 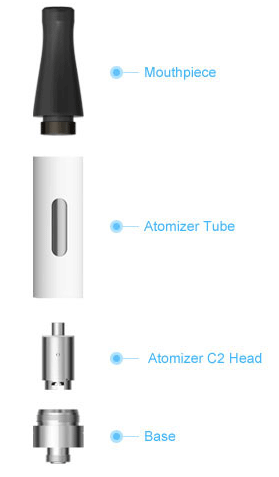 The type A Atomizer comes with a changeable atomizer C2 head that delivers high voltage, high output, and a heavy vapor flow. You may judge when the device needs to be refilled by observing the e liquid levels in the transparent e liquid window. 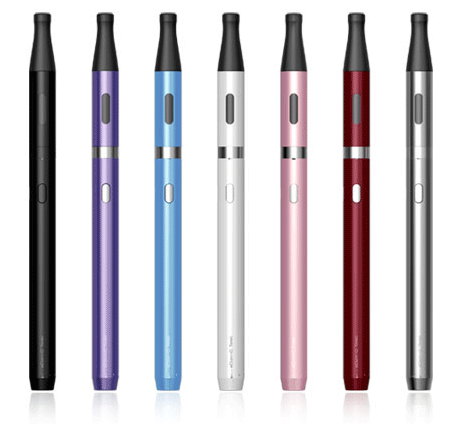 The eCom-C uses a changeable C2 atomizer head that is capable of working under high voltages. This will ensure a satisfying vapor flow every time. 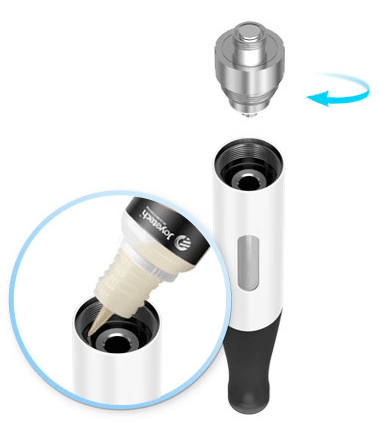 To fill your e cigarette, turn the atomizer upside-down, unscrew base, and refill the e liquid along the tube. 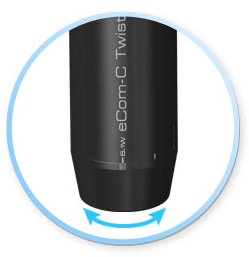 You may adjust the eCom-C Twist's wattage (5.1W-10.0W) depending on your preference. 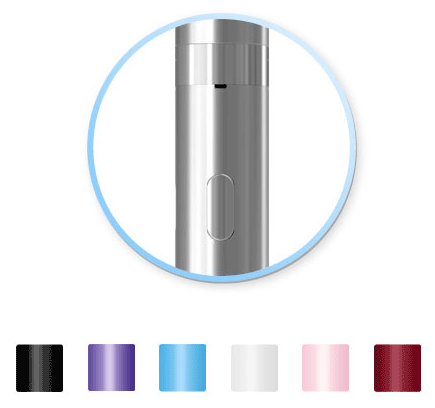 The device comes with a built in battery charge indicator, and short circuit protection that will ensure your atomizers are functioning properly. VW mode (5.1W-10.0W): The eCom-C's wattage output can be adjusted by rotating the ring clockwise or counterclockwise. With a higher wattage, the vapor flow will be heavier, and the taste richer. When the device has low battery, the light will flash 40 times before automatically shutting off. While pressing the button, if the remaining power is 60% or above, the light will stay on, and when it's lower than 60%, the light will flash continuously. The less power remains, the faster the light will flash. When the power is within 30%-59%, the light will flash slowly; within 10%-29%, the light will flash at normal speed; within 0%-9%, the light will flash at high frequency. To charge the eCom-C, connect the device to a computer or power adapter. When plugged into a power source, the light will keep blinking while it charges. Once it is fully charged the light will remain on without blinking.